1 April 2016 - 27 August 2016. Artist duo Michael Elmgreen (b. Denmark, 1961) and Ingar Dragset (b. Norway, 1969) have been working together since 1995. They deal with questions of gender, individual and political identity and the role of art in public life and in the economic-cultural reality of the global age. 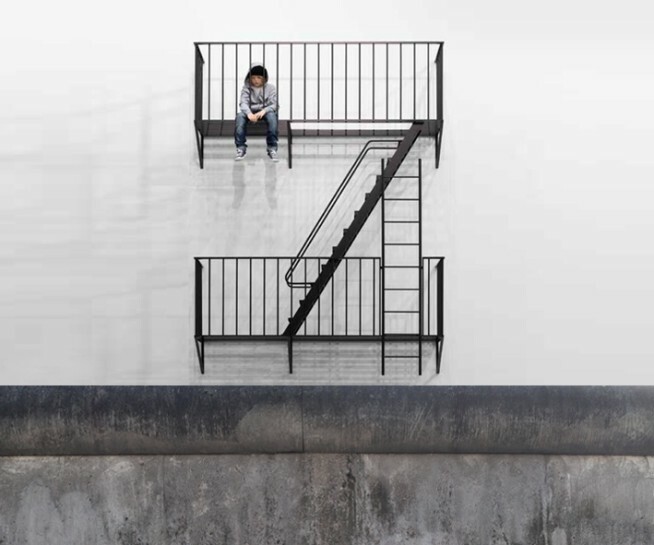 In their first exhibition in Israel, Elmgreen & Dragset present, throughout the Museum, several works that accumulate into a startling, radical installation. The exhibition is sponsored by the Friends of the Tel Aviv Museum of Art in Israel; the Ostrovsky Family Fund; the Division for Cultural and Scientific Affairs, Ministry of Foreign Affairs; the Embassy of Denmark in Israel; and the Royal Norwegian Embassy in Israel.